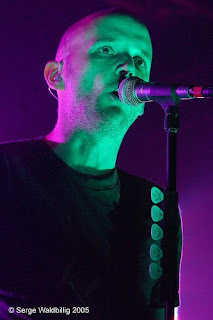 A man of many musical talents, this is Moby performing on tour in 2005. In fact I was surprised just how many different projects he has been involved in, and if you are curious yourself, check his Wikipedia entry HERE. Moby undertook a number of festival gigs in 2005, and clearly by his comments, this was one of his favourites. With a new album to promote that year the concert still included many of the audiences favorites as you will note from the set list below. This then is Moby live on the 24th July 2005, at Byron Bay in Australia. The concert was broadcast on FM (stereo) which is the source of this recording. DOWNLOAD LINK IS IN COMMENTS BELOW. 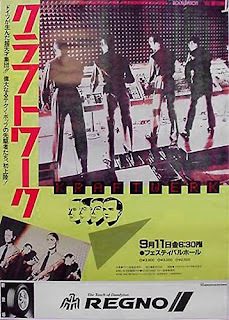 This is the second concert from Kraftwerk during their 1981 tour, to be featured on Beehive Candy. The tour itself, was more or less divided into two parts. The first tour started May 19th, 1981 at Apollo Teatro, Firenze in Italy and kept going until they had played in Bombay, India on September 25th. Then they went back to Europe and enjoyed a small break until November 19th when they started a smaller tour with concerts mostly in Germany. The last concert was held in the venue Zeppelin in Bremen, on December 14th. During the year 1981 Kraftwerk performed on more than 80 occasions in 16 countries. This recording is from their performance in Tokyo, Japan at the Nakano Sun Plaza on the 7th September 1981.